Bout's with walls -- not something you usually want to run at. Give it a go. 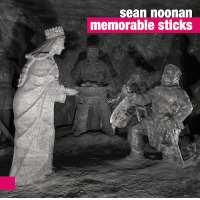 Sean Noonan's stories from behind the drum kit continue Bruised by Noon, A Limited Edition Solo Drum Project which concludes the Tale of Finny Finnigan, the gambler who was introduced on Noonan's critically acclaimed 2012 project A Gambler's Hand, Just a few months after the release of his punk-rock influenced Pavees Dance: There's Always the Night, which paired the 38 year old drummer with Malcolm Mooney, the original vocalist for the leading avant-garde rock group of the '70s, Can, Noonan will release Bruised by Noon, a solo drum CD and vinyl recording, with an accompanying print book. 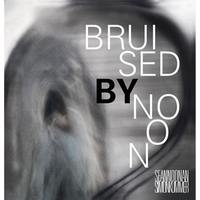 Bruised by Noon concludes the story that Noonan began to tell on his 2012 Songlines release, A Gambler's Hand, in which a man by the name of Finny Finnegan is trapped in a wall which is also depicted in A Gambler's film by director and film maker Marta Kopec from Katowice, Poland. 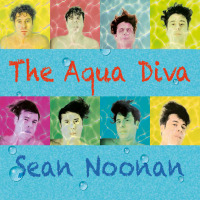 The new album, which includes twelve "bouts" that Finnigan has with the wall (eleven instrumental and one spoken word), in many ways coalesces the concepts that have driven Noonan's work as he has continued to evolve as a creative artist. 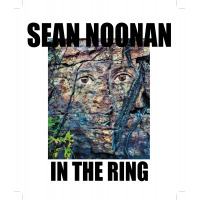 He describes himself as an "Irish griot,' one who collects tales, legends, and life stories over the course of his journeys and transforms them into the raw material that informs the entirety of the music he creates; however, on A Gambler's Hand, he created his fantastic yet original tale based on personal experience. Still, elements of folklore are present in that work: Finny is actually a Pavee, an Irish traveler and tinker similar to a gypsy. 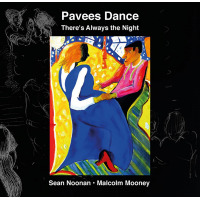 Pavees have existed in Ireland since before the fifth century, and Noonan revisited them for inspiration on Pavees Dance: There's Always the Night. After each of the 11 bouts on Bruised by Noon, Finny's body ever so slowly becomes a permanent part of the wall.